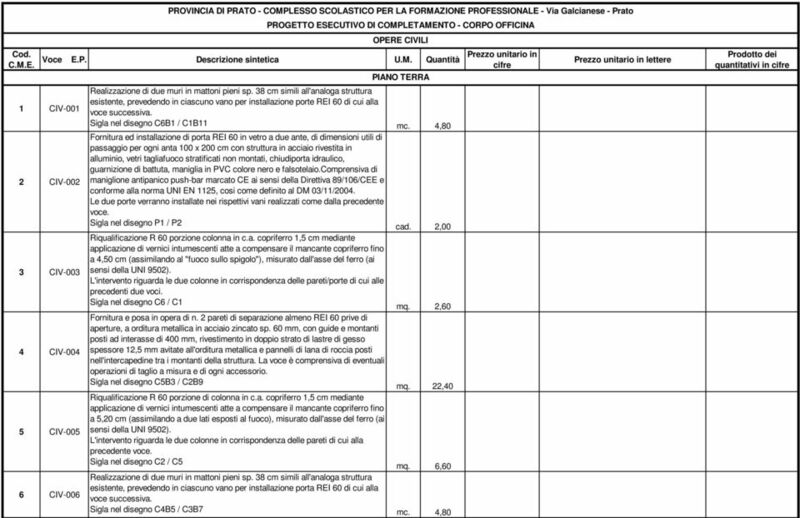 Download "PROVINCIA DI PRATO - COMPLESSO SCOLASTICO PER LA FORMAZIONE PROFESSIONALE"
N ELEMENTI MATERIALE PORTA IN ACCIAIO PERSIANINA N.B. 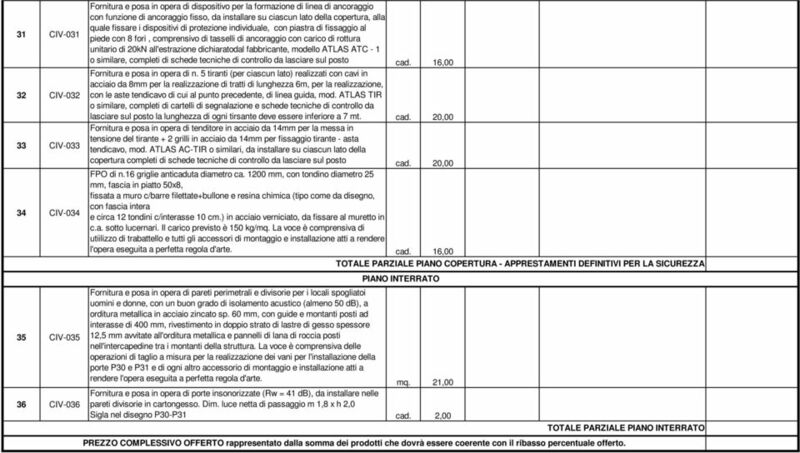 : H BATTUTA A PAVIMENTO <= 2,5CM PIANO TERRA B.18.051 B.20.024 IE. 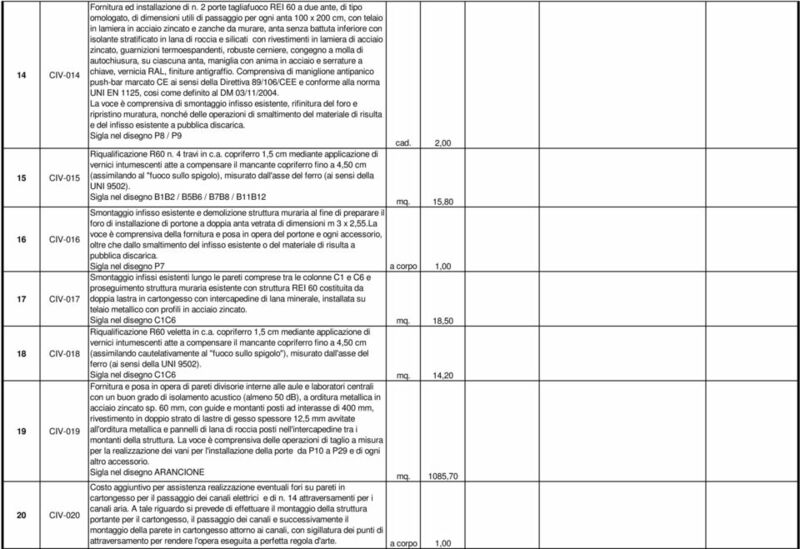 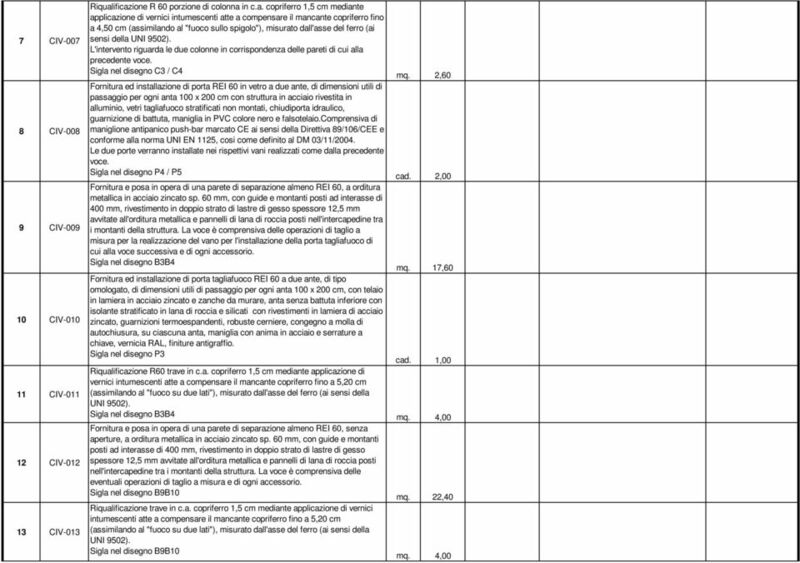 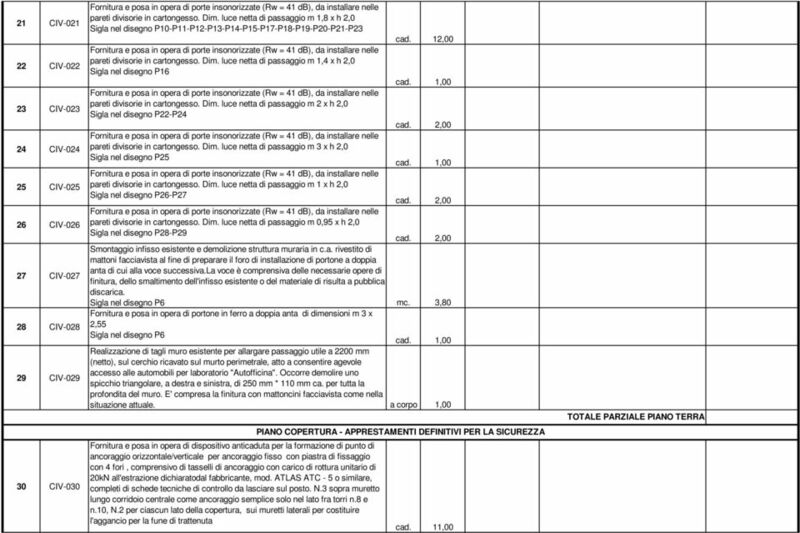 ANALISI DEI PREZZI COMUNE DI CIVITAVECCHIA PROGETTO ESECUTIVO DEI PROVVEDIMENTI PER LA SICUREZZA ANTINCENDIO NELLA SCUOLA MATERNA E PRIMARIA "COLLODI"